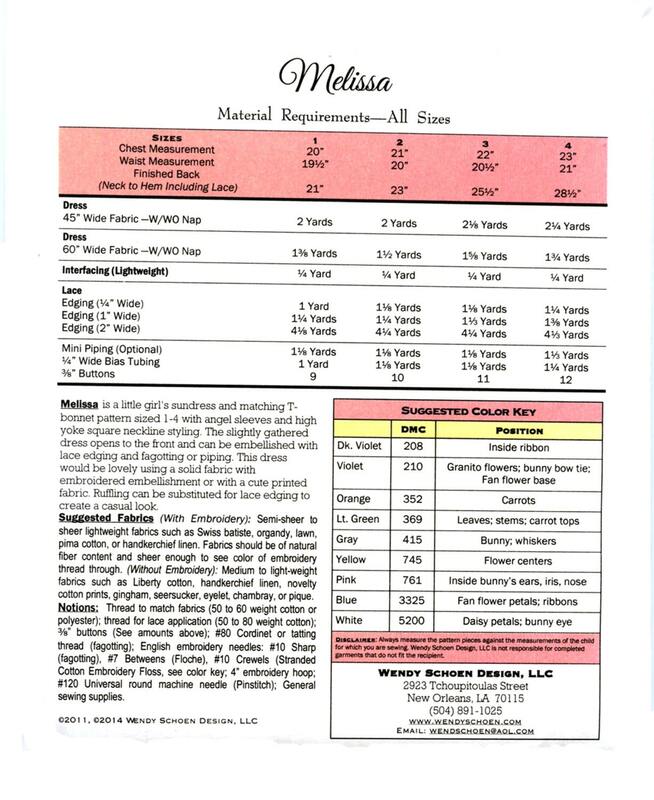 Melissa is an all time favorite Petite Poche Pattern by Wendy Schoen. And now its back in print. 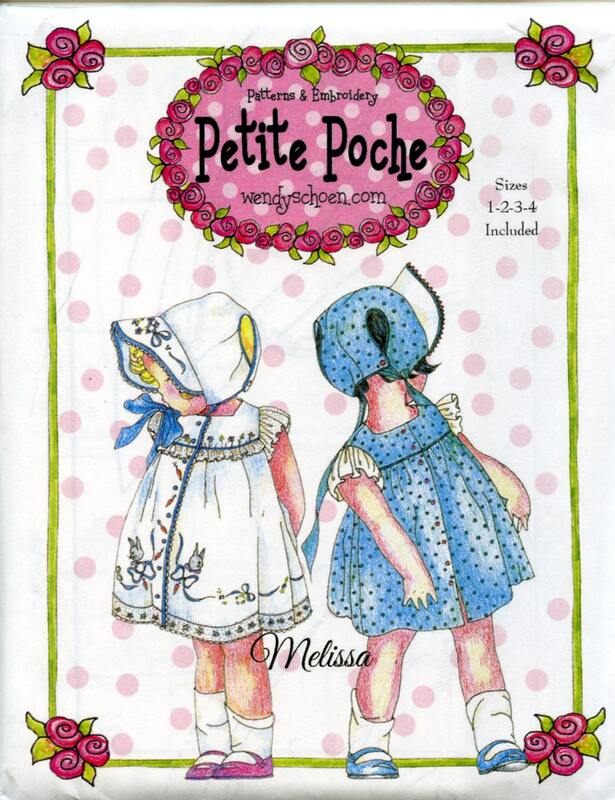 This pattern is an adorable little girl's sundress with a matching T-bonnet pattern. The pattern features angel sleeves and a high yoke with square neckline. It can be fancy with lace and embroidery or plain for daily wear. Shipped quick and was in perfect condition! Thank you! Great pattern and shipped promptly!